Home » Health » What Is Asbestosis? 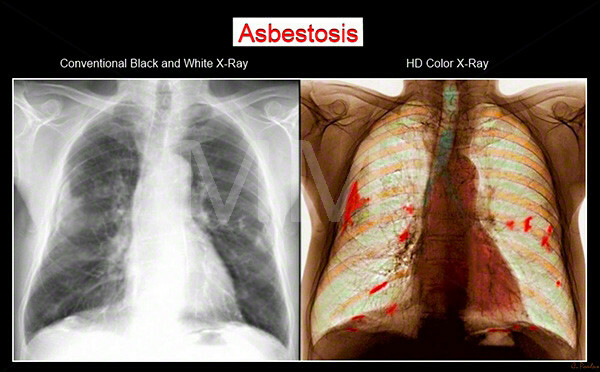 Asbestosis is a chronic lung disease caused by exposure to asbestos fibers for a long time. Asbestos is a type of mineral that is usually used by some people for the installation of floor or roof of the building. Asbestos that is still in good condition is not harmful to human health. However, when the abscess is damaged, the material can release fine dust containing asbestos fibers. Dust containing asbestos fibers vulnerable to human inhalation. As a result, the lungs that inhale asbestos fibers can be gradually damaged. This condition inhibits breathing and absorption of oxygen in the bloodstream. In severe cases, the fingernails of the fingers become round, dilated, or enlarged (the taboose). Increased appetite followed by weight loss. Breath becomes short or tight. Asbestosis is commonly experienced by industrial workers, especially in the 1970s and 1990s. Examples of professions at risk of asbestosis, among them are mining workers, electrical or building installations, mechanics, technicians and rail mounting technicians. Asbestosis occurs after a person inhaling dust containing asbestos fibers for a long time. Dust with asbestos fibers are trapped in the alveoli (air bag in the lungs) and form scar tissue so that the lungs become stiff. The rigid lung tissue makes the organ unable to inflate and deflate normally. As a result, the patient becomes difficult to breathe. This condition can become more severe if the patient is accustomed to smoking. When a person is suspected of experiencing asbestosis from his or her symptoms, the doctor will begin a physical exam, especially to see lung function. Scanning through chest X-ray is important. For asbestosis patients, lung tissue will look like a wasp nest or there is a large white area. Another check that can be done is a lung function test with the help of a device called a spirometer. This examination aims to measure the work of lung organs in inhaling, storing, or exhaling the air. In addition, this test can also be used to measure the amount of oxygen that can be absorbed into the bloodstream. Another test that may also be used to confirm the occurrence of asbestosis is CT scan. This scan can complement the results of a chest X-ray examination to see the condition of the lungs more clearly. Meanwhile, to see the presence of asbestos fibers in lung tissue, doctors can perform lung biopsy. Asbestosis can not heal completely, but the symptoms can be relieved and the severity of the disease can be suppressed. Treatment can show good results if supported by efforts to stop smoking or avoid smoking. In addition to causing emphysema , cigarette smoke can reduce the volume of air in the lungs. Asbestosis patients are also usually advised to receive vaccinations, especially flu vaccination and pneumonia, to reduce the risk of lung infections. One treatment of asbestosis is through therapy, such as oxygen delivery therapy. This therapy aims to improve the patient's pernapasaan, especially if the blood oxygen levels are very low. Oxygen therapy is performed by a machine or oxygen tube that can drain oxygen through the hose placed. Other types of therapies that may be suggested are pulmonary rehabilitation. This therapy includes exercises, discussions, and medical advice that can be applied to reduce asbestosis symptoms. During the period of treatment, periodic examination still needs to be done. The examination includes lung function tests and chest scans. The distance of the examination depends on the severity of the asbestosis. If the severity of asbestosis symptoms is very severe and can not be treated with the above treatment modes, then the patient is likely to be recommended to undergo lung transplant surgery. Mesothelioma (cancer in the lining of the lungs, heart, stomach, or testes). Thickening of the pleura, the lining that wraps the lungs. Reducing exposure to asbestos is the best prevention. Workers working on asbestos materials should use personal protective equipment when exposed to asbestos. Most homes built before 1970 use asbestos-containing materials such as floors and pipes. No need to worry as long as the material is not damaged, because no asbestos fibers are released into the air. If you are a worker exposed to asbestos for more than 10 years, you should see a doctor for a chest X-ray examination and a routine check every three to five years. 0 Response to "What Is Asbestosis?"